I am a self-taught sculptor working in the “taille-directe” or direct carving method. I do utilize some power tools for rough cutting; however, I try to use hammer & chisel and other hand tools as often as possible. 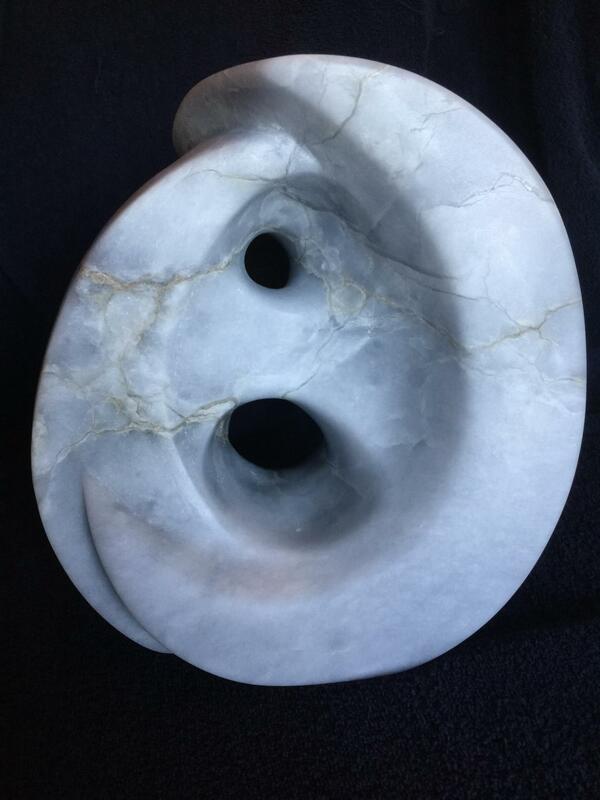 The physical effort of carving stone is part of what has drawn me to this form of art. I have been sculpting for about 40 years, originally using wood as my medium. Switching to stone about 25 years ago, I now work mostly in black soapstone (quarried in central Virginia) as well as Italian marble and alabaster. The subject matter for most of my work is the human figure or animal life. I have also done some abstract pieces emphasizing organic forms. My work is in a number of private collections as well as galleries in Middleburg, Sperryville and Washington, Virginia. I have also been in various juried shows throughout Virginia and have participated in several auctions for charitable fund-raising events.